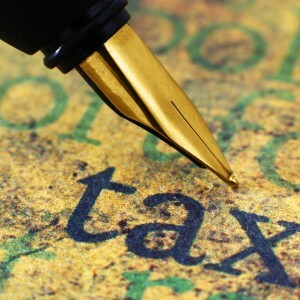 Proper tax preparation is incredibly important. When you get tax preparation in Chandler it pays to be prepared. A good tax preparer is incredibly thorough. In order to provide you with the best service possible, specific documentation is needed. If you don’t have them, you’ll be required to retrieve them, and may even need rescheduling. So when you visit your tax professional in Chandler this tax season, make sure you bring everything on the list below. Your previous year’s return – This carries much of the information your tax preparation specialist will need. It also gives them an idea of your previous years qualifications. If little has changed they can work with it, and keep from re-gathering necessary information while identifying new qualifications based on the old ones. If you have access to them, it is helpful to bring tax returns from the previous 3 years. Your personal and any dependents information – You’ll need your personal information. This includes your social security card, taxpayer identification number and the social security number and information of any claimed dependents. If you’ve paid any alimony you will also want this amount along with the social security number and information of your ex-spouse. Some expenses can net very large deductions. This is especially true when it comes to personal disasters, theft, and loss. If you’ve encountered a personal disaster make sure to bring in documentation of rebuilding expenses, clean-up costs, and lost property records. Affordable Care Act Information – If you signed up for insurance through the AFA Marketplace, bring your 1095-A and any Marketplace exemptions you may have received. 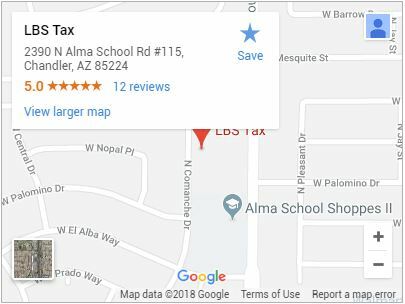 Coming prepared for tax preparation in Chandler helps speed up your tax preparation process and aids your tax professional in getting you the most deductions and maximum refund. For masterful tax preparation from a highly experienced certified accountant, Call (480) 664 – 1249 or Contact LBS Tax today.